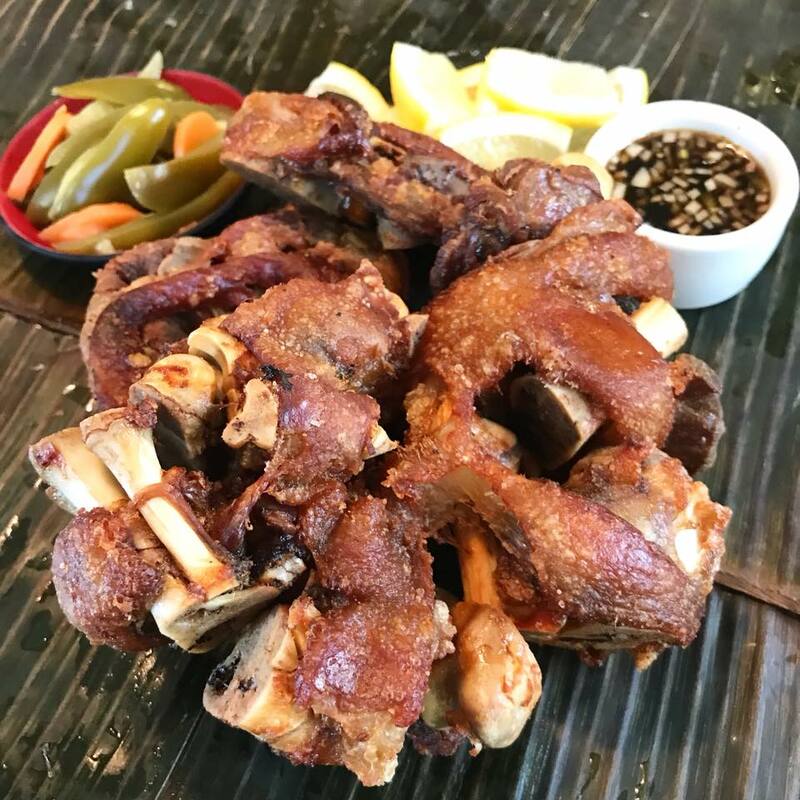 Crispy Pata is a dish that is an all-time Filipino favorite usually served in special occasion. 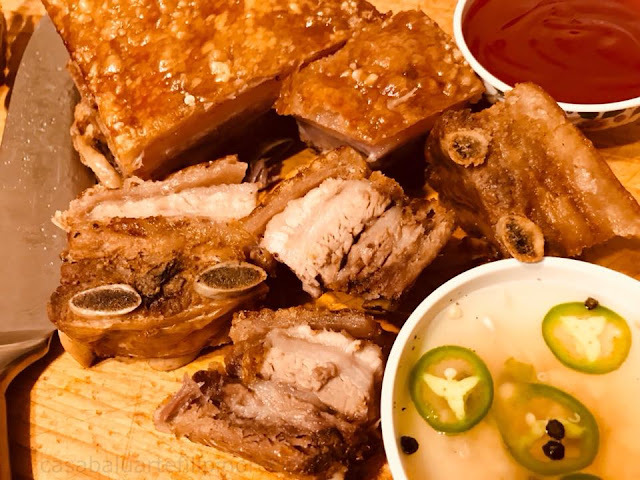 It is a Filipino delicacy made from whole pork leg deep fried until crispy on the outside while the meat stays tender and moist. Crispy Pata is actually very simple to cook although the process may take some time. If planning to include this dish to your upcoming party, just boil few pieces at a time and store in the freezer for later use. Ask the butcher if he can cut the bones in between but not the skin. I did but he still cut some part of the skin which was okey. I should had explained it better but next time. 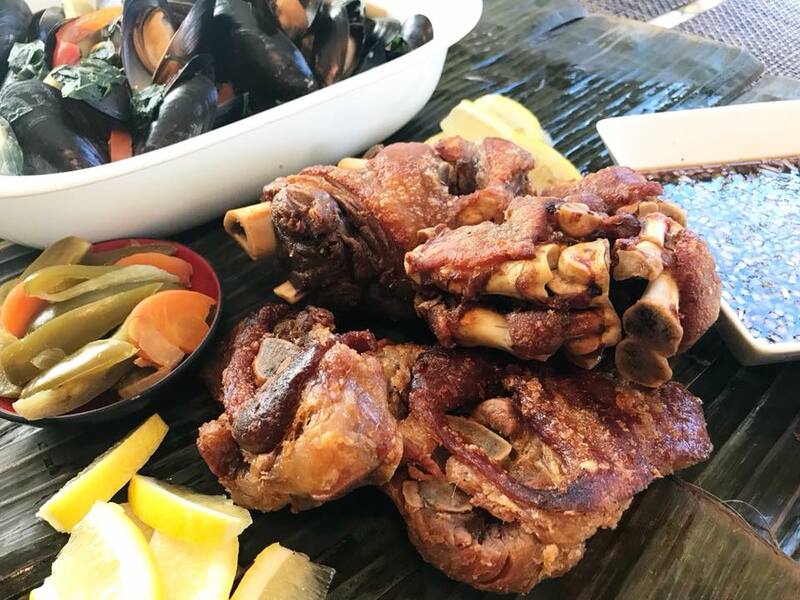 Crispy Pata is also an unhealthy Filipino dish so please eat in moderation. Don't forget to see other related recipes below. 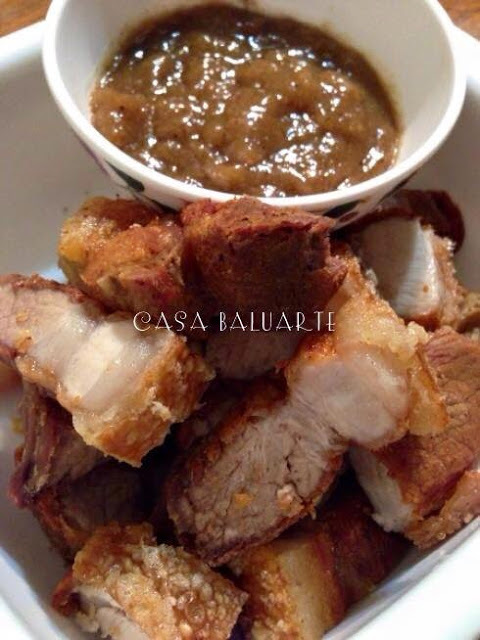 Just click on the name link below the picture to see complete recipe. Give it a try and let me know how you like it. Leave me a comment or a suggestion as I would like to hear from you. In a large pot, combine water, garlic, anise seeds, bay leaves, peppercorn, salt, sugar, soy sauce and vinegar. Bring the liquid to a simmer over medium heat. While waiting for the liquid to simmer, scrape any stray hairs on pork leg. Add in the pork leg and continue to simmer for an hour. Add in the baking soda and continue to simmer for another hour or until meat is tender but not falling apart. 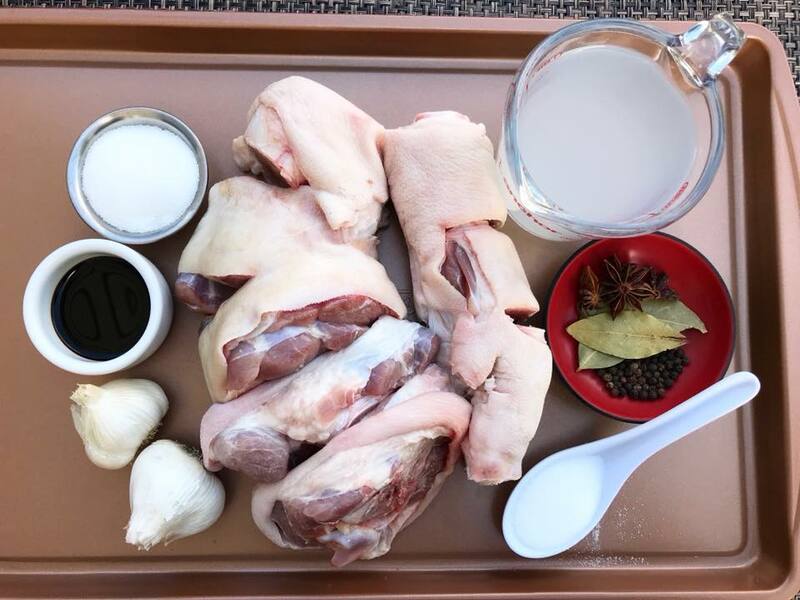 Remove pork leg from the pot and discard remaining liquid and aromatics. Drain pork leg and allow to dry. Refrigerate for at least overnight before frying. 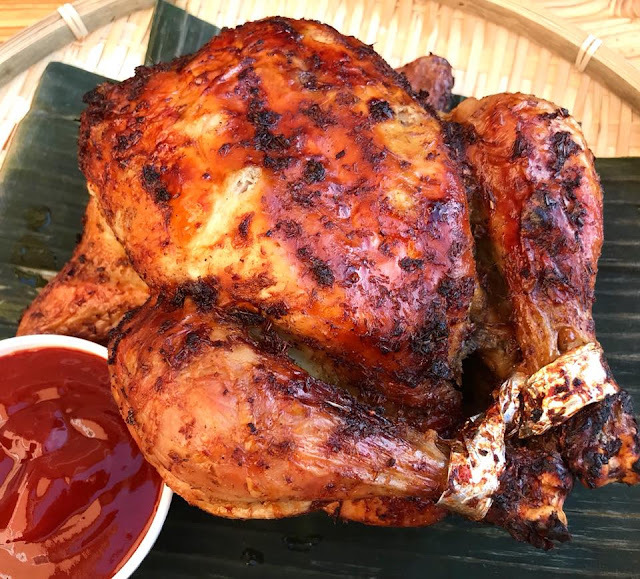 Rub the outside skin with fish sauce and lightly sprinkle with flour. Using a large pot or a deep wok, heat in medium heat and add enough oil to submerge the pata. Gently add pork leg to the oil and deep fry. Turn as needed until golden brown and crispy. Remove pork leg from the pot and drain excess oil. 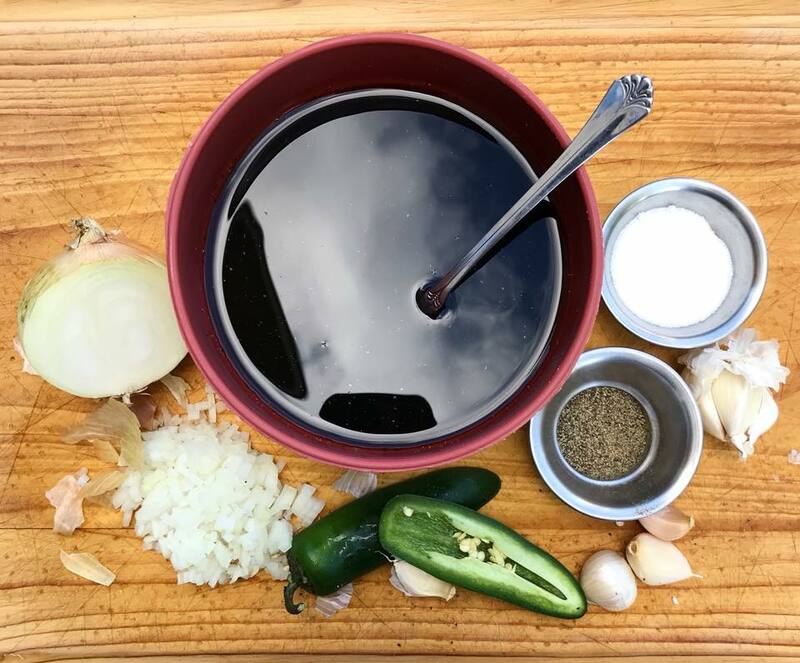 Serve hot with pickles, spicy soy-sauce dip (see below dip recipe) and steam rice. Enjoy. Combine above ingredients. Stir well.